You will get 1 PDF file with crop marks for perfect bleed, and 3 exact size JPGs. There are 2 3x4 designs and 1 4x6 design. Whoo! I wanted to drop these by y'all before I go on vacation! Maybe you have some vacation photos to document too - spring break was recently! I'm so glad you're here with me on this journey. I am constantly tweaking my process to fit my needs and yours, so as the customer - please let me know how things are going from your end. I want my products to be easy and useful! I know I'm late, but I bet most of you haven't documented Valentine's day yet anyway! You guys asked for it on Instagram! I've made your hand lettered calendar cards and more! If you're like me, you haven't started on your 2018 album yet - and if you have, go ahead and throw these in an insert :P Who else is excited to document 2018? I am still working on 2017, so let me know in the comments if you have any fun ideas for this year, especially in terms of format! Here are January's journal cards too, in case you missed it! 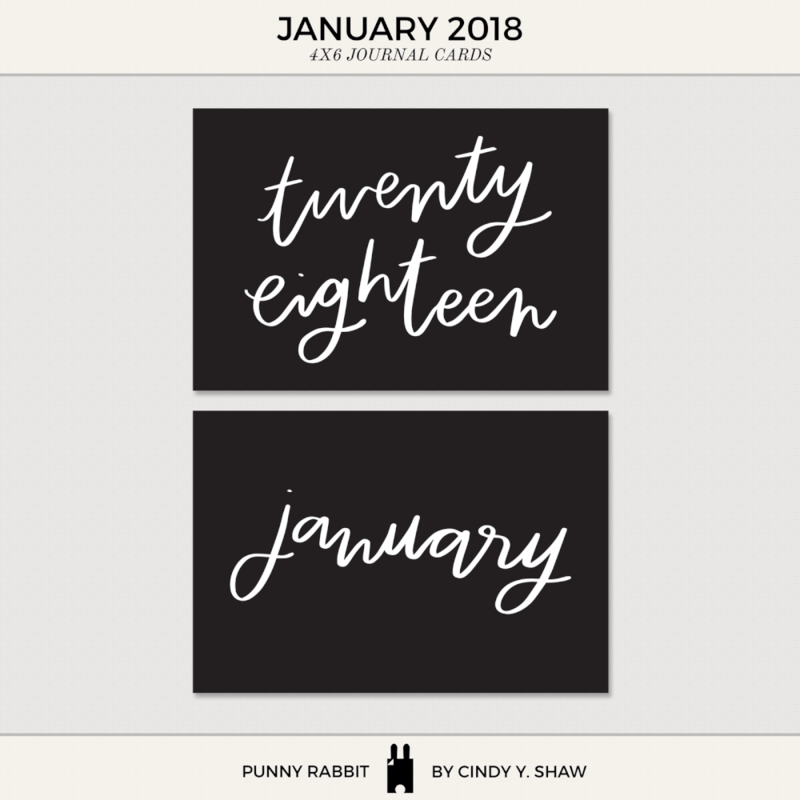 You will get 1 PDF file of a 2018 calendar with hand lettered year, set up on a letter size 8.5 x 11 sheet. You will get 1 PDF file with 4 cards per page and crop marks, and 12 exact size JPGs. Hand lettered months and Sunday through Saturday weeks. You will get 1 SVG file with 2 4x6 journal cards. This is a cut file for home die cut machines such as the Cricut or the Silhouette. Tip: Try backing with a photo or pattern, or try cutting on vellum for photo overlays! You will get 1 PDF file with crop marks for perfect bleed, and 4 exact size JPGs. There are 2 4x6 designs in 2 colorways.